City of Melbourne Councillor Stephen Mayne will present a motion at this evenings Council meeting (Tuesday 30th June) asking for greater transparency from Councils wholly owned subsidiaries including the Queen Victoria Market. 1. Figures from financial accounts including profit and loss, balance sheet and cash-flow statements. 2. Senior executive remuneration disclosure. 3. And non-executive director profiles, including professional background and qualifications. with details to be made publically accessible. "Council encourages full adoption of these disclosure proposals in the 2014-15 annual report but acknowledges board discretion to delay some of the measures until no later than the 2016-17 annual report." 1. Australia Made campaign to re-enforce benefits of buying Australian. 2. ATM operator, One Cash, goes into liquidation. 3. German department chain Kaufhof sold to owners of Saks Fifth Avenue. 4. Target teams up with Megan Gale for new designer homewares range. 5. Court decision gives Lego copy protection for its iconic figurines. 6. Twin tower apartment and hotel complex over-looking QVM and Flagstaff Gardens gets planning approval. 7. Class action by customers of Cash Converters over interest rates settled. 8. 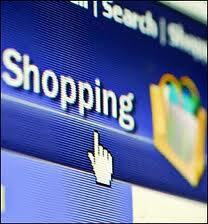 New survey suggests shopping is prime reason for travel. 9. Cotton-on to open new multi-level super store in Surfer’s Paradise. 10. Aldi to open 20 new stores in SA and WA next year. 11. Aldi has tripled its market share over last 10 years. 12. Ferrero Rocher buys UK confectionary chain Thorntons. 13. Flight Centre’s share price takes a hit after second profit warning. 14. Myer’s share price up following re-financing of $600m debt. 15. Ebay bans sale of Confederate flags in US. 16. David Jones to enhance its presence in up-market food. 17. Canadian luxury retailer, Kit & Ace, confirms second store in Sydney. 18. Collins Foods writes down value of Sizzler chain. 19. Kenny’s Cardiology accused of under-paying employees. 20. H&M reports 11% rise in second quarter global sales but warns impact of US$. Replacing the C Shed Playground – a trader has suggested the recently removed play centre in C shed could be replaced with male jelly wrestlers. Actually he said female mud wrestlers but we insist on equal sexism in this publication. And before you complain too much about his silly suggestion, the same trader came up with the next idea which we think has real merit. A Use For The Social Kitchen Building – the social kitchen at the top of A Shed needs a new use and our trader suggests a food collection point. He suggests removing the bollards at the top of A Shed and allowing a drive-in / drive-out facility for customers to pick up pre-ordered food. Given the congestion that occurs in our car park at peak times and the universal push for more customer convenience, we think this idea deserves serious consideration. Of course we can’t publish the traders name but his name begins with John and ends with Magno – Sorry John!! There has been much published in recent years about the role of public markets and particularly the benefits that flow apart from just collecting rents. And so a debate has formed around how we truly measure the performance of public markets like QVM. The UK House of Commons published a major study back in 2009 and the US based Projects for Public Spaces has published many articles which examine the significant contributions that markets can make to communities, cities and countries. Apart from the obvious economic benefits of markets there are five key benefits that we can look at. 1. Markets provide a sense of place. 2. Markets are part of a nation’s cultural tradition. 3. Markets are an important element of the economy, particularly in relation to independant retailing, local employment, and business start-up opportunities. 4. Markets offer local access to fresh produce and are an important source of healthy eating. 5. Markets reduce environmental impacts for example unnecessary packaging/waste. One criticism of QVM management in the past has been the concentration on rental returns to the owners (CoM). Very little has been put back into QVM over the last 15 years or so. The focus provided by a multi-million dollar renewal project is very welcome but in itself doesn’t guarantee that past attitudes have changed. The primary KPI’s (Key Performance Indicator) in the past has been rental returns and visitor numbers. 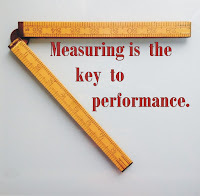 We would like to propose some complimentary KPI’s that will enhance the way we measure the performance of our market. 1. How many new business start-ups. 2. Success in filling known gaps in the market’s offer. 4. How many people employed. 5. Levels of stall presentation. 6. How much waste is re-cycled. 10.Number of ethnic minority managed businesses. There are no doubt many more measures of market performance that could be added and you will note that responsibility for those measures could involve each of QVM, CoM, and Traders, or a mix of all three. The future prosperity of QVM will certainly rely on us measuring more than just rental returns. Incubation Support At QVM – Does It Exist? 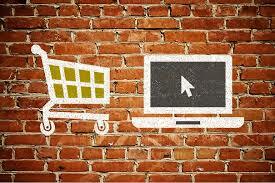 One of the key focuses for international retail markets is to provide an incubation environment for new businesses. Markets are potentially an ideal low cost entry point for people who have a good idea and want to test it in the big retail world. In fact creating business start up opportunities is considered one of the five benefits that underpin market relevance after the obvious economic benefit. QVM does support the incubation process but we question whether it allocates sufficient funding to this very important ingredient. 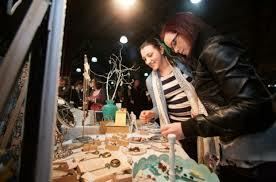 Customer feedback suggests that consumers are constantly seeking new, exciting and innovative artisan type traders. They expect that markets will provide that opportunity and they are disappointed when they don’t see it at QVM (cue in the trash & treasure debate). Of course the harsh reality of retailing is that success is not guaranteed for new traders. There are many aspects of retailing and merchandising to stumble over as you try to make your way. Does QVM offer support to new traders or do they let “market forces” determine whether or not they survive? Given how difficult it is to find innovative ideas, and given how important customers view innovation, we believe this needs to be a priority for the future. Incubating traders need constant attention to determine if they succeeding or not. The first line of contact for new traders, Market Officers, are not expected to impart retail wisdom and the question needs to be asked - who does? Perhaps the greatest source of retail wisdom could come from existing traders in some sort of mentor relationship? You may have noticed a few new traders around the market in recent weeks. We can see innovative ideas at work and some desirable ingredients like sustainability being shown. They are brave individuals in a very tough retail market. Let’s hope these traders are given adequate professional support including additional resourcing if necessary. Innovation is a rare but desirable ingredient and QVM can prosper from providing a robust incubation environment. A trader's comment on marketing our market makes a good point. The QVM Master Plan talks about a market of markets and no doubt there will be differences in the types of markets and the targeted consumers but cross promotion would seem to make a lot of sense. 27/06/2015 22:11:04 Video Clips for the Night Market "The QVM has done a fabulous job to promote the night market by making an amazing video clip, and it's running on the social media at the moment. I think the office of the QVM should pay a close attention to the day market as well. As the business at the day market is currently on its downward trend.It really needs a big push on the social media as well. I certainly think it would have been nice and more beneficial to the whole market if both the night and the day market was included in that video clips . Therefore the promotion of both the day market and it's offshoot the night market, is very important and essential in the current retail environment." 29/06/2015 07:46:35 Night Market Promotion "What a smart idea cross promoting both the Day & Night Markets on video. Show customers our diverse range and choice . The Night Market would not be sustainable 1 night a week for half the year without the support of the 5 day a week Day Market , We fill the car park and pay rents 5 days a week.- Equal opportunity" - Thanks Equal Opportunity - you make a valid point- Ed. Thanks Mark - We look forward to seeing the videos.- Ed. A new zoning application has been made by CoM for the Northern part of the city including QVM and the Munro site which was purchased earlier this year. QVMAC Trader Representatives asked for an explanation of the re-zoning and here is the response from City of Melbourne. 1) What are the primary reasons for rezoning the Market land? The State Government Practice Note No 2. (PN2) highlights that the purpose of the PUZ is to identify areas of public land that are of particular significance, and which warrant protection by reason of that significance. The PUZ is not to be applied merely because the land in question is owned by a public body. While, generally, CCZ1 is an acceptable zone for the market area such as QVM, Council is of the view, QVM is an asset of particular significance to Melbourne, for which a greater level of protection is warranted. As with the application of the PUZ, generally the justification for imposing the PPRZ relates to the need for protection of the relevant land as result of its special nature. It is usual for parks and recreational areas in municipal areas to be zoned PPRZ. · An amendment to the scheme involves consultation with all the parties who may have an interest in the amendment, or may be affected by it. Usually, an amendment is placed on public exhibition for at least one month. 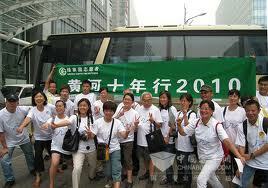 The timeframe following public exhibition is dependent on a number of factors. · If there are submissions which cannot be resolved by the planning authority, the Minister for Planning will appoint an independent panel to consider submissions if the proposed amendment is to proceed. When it receives the report from the panel, the planning authority must either adopt the amendment, abandon the amendment or adopt the amendment with changes. · An amendment becomes part of the planning scheme when it is approved by the Minister and notice is given in the Victoria Government Gazette. In instances where both a permit and an amendment are required, the Act makes provision for a combined permit and amendment process. 3) “Does the rezoning affect the original stated permitted use of Market land as per the Queen Victoria Market Lands act 1996 Act No 78/1996 and that is as indicated in the preamble “for Market purposes… and for other purposes related for Market use” ? 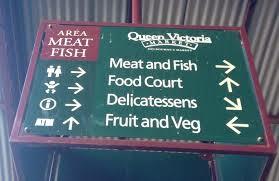 The rezoning has no effect on the Queen Victoria Market Lands Act 1996 which Act remains on the statute books. A number of traders with websites have come forward to say how important a web link with the official QVM website can be. QVM gets a massive amount of traffic to their website and traders who have entries on the QVM site can ask QVM to link through to the traders own website. A number of our traders have identified QVM as the main source of their web traffic. Getting traffic to your website is an important ingredient for success so linking to QVM makes really good sense. Email info@qvm.com.au for details. The number of Asian tourists visiting our shores is showing a big rise as the Australian dollar depreciates and the relative sophistication of Australian retail, particularly in the luxury sector, attracts buyers. Traveller numbers from China, Malaysia and India have jumped 17-18% according to the ABC. Ibisworld is reporting that inbound tourism is a key area for the Australian luxury goods sector with 30% of their revenue coming from inbound tourists. The recent influx of international fashion houses to the Australian retail market is also seen as an added attraction as high consumer wealth in Asia, and the rising middle class, translates to a boost for shopping tourism. Two meetings were held this week to explore car parking issues at QVM. The current car park is to make way for a new open space and alternative sites for parking will be required. A meeting attended by Traders, QVMAC Representatives, QVM Management and City of Melbourne was held at the market on Thursday to discuss issues included the proposed shift of the current car park, the possibilities of the Munro site, and changing patterns in the use of the car park. 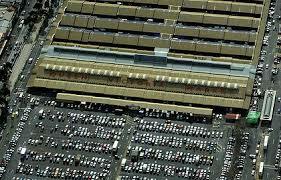 - Matching parking offers of other retail complexes particularly in relation to 2 hours free parking. - Offering free parking at any time of day. - Location of alternative car parking - Munro site, Franklin St, ABC sheds? - How the location of car parks will impact on traffic flow, entry/exit points etc. - Will customers utilise more distant car parks (Franklin St.)? 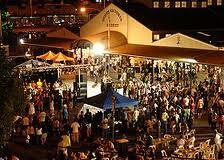 - The car park is full for Wednesday Night Markets - how do we maximise returns at those times? - The possibilities around increased trading hours and better utilisation of the car park. Mark Allen, representing the CoM, gave an assurance that meaningful input from traders would be sought at each of the five stages of the renewal process. Earlier in the week a number of Trader Representatives met with Councillors from City of Melbourne for an informal discussion on the impact of the State Government congestion levy on QVM funding. QVMAC Trader Representatives were advised at a recent meeting that car park fees at QVM were likely to increase as a result of the newly imposed government levy. The CoM announced last week that an additional $300,000 had been made available to QVM as part of the latest budget discussions to assist with market related costs. Cheap Holidays Are Over And That Could Be Good News. The number of Australians going on overseas holidays increased dramatically as the Australian dollar rose to record levels but apparently the party is now officially over and that could be good news for QVM Traders. As the A$ falls to around US77c economists are expecting a significant shift in spending patterns with Australians engaging in more domestic tourism. On the other hand, international tourists are likely to be attracted to our shores as their currency gains more spending power. 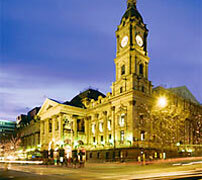 More locals visiting Melbourne and more international tourists should combine to give greater visitor numbers for QVM. Woolworths CEO, Grant O’Brien, is to depart following recent “disappointing” results. Competition from the likes of Coles and Aldi along with huge losses in the Masters venture are said to be related factors. 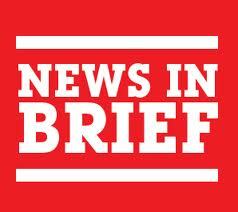 O’Brien will continue as CEO during the transition to new leadership. Metcash is to sell its automotive businesses as it restructures and diverts resources to other areas. The auto business which includes Aotopro, Autobarn and Midas chains has been sold to Burson Auto Parts for reportedly $275m. After a strong debut, retail invaders like Zara and H&M are reportedly struggling to maintain progress. Zara have announced a 33% fall in earnings for the 12 months to January and H&M lost $2.9m in the 12 months to November. Increasing competition, lower margins and the impact of the A$ are considered to be impacting on the bottom line. Have you ever wondered why consumer spending is said to be down and yet $900 iPhones seem to be selling like crazy? Well, a recent symposium in the US was told that consumers are still spending but just spending differently. Representatives from Mastercard said that categories like restaurants were showing significant growth. The thinking is that time-starved consumers are spending their money on experiences rather than things. 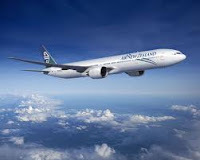 Air travel is another growth area. But there is a little twist in new spending patterns with some luxury items showing up strongly. New cars are doing ok and, as we noted above, expensive mobile phones don’t seem to be a problem. The key with these items is quality and value. Consumers are definitely more considered these days and less likely to go into debt. They will spend big but only if it makes good sense. 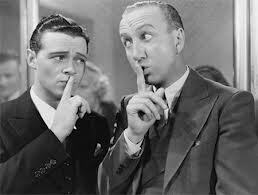 So, memorable experiences and big ticket items that will last a long time appear to be the secrets to retail success. Hmmm.... maybe it is time I gold plated some of those products in my range. Can We Be More Convenient At QVM? Few things challenge the future of retailing like convenience and many think it is a missing ingredient at QVM. Market researcher, Nielson, had this to say about convenience – “Consumers lead busy lives and their time is becoming more limited and fragmented every day. 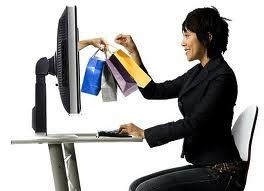 So when it comes to shopping, they may not always be 100 percent focused or fully engaged in the task at hand. So in order to keep up with them, retailers are increasingly finding that they need to innovate in ways that make it easier and more convenient for their customers to get what they need and not miss a beat in the process." Customers are embracing the new opportunities to find what they want, when they want it, with the most choice, and with a return policy that safeguards their buying decisions. And this is not just about online. Fortunately for us there are huge number of consumers who still love the shopping experience and get a great deal of delight out of treading the pavements and immersing themselves in the shopping adventure. But to some extent they have all been influenced by the ease and convenience of the technological age and expect at least some of that ease and convenience in-store or in-market. Is your stall easily found at QVM? Is your location going to make it easy for customers to compare offers? Do you have an online presence and do you hand out business cards? Do you offer multiple payment options, a packing service, a delivery service, and a returns policy? Are your trading hours relevant to your customers and are you available after hours? 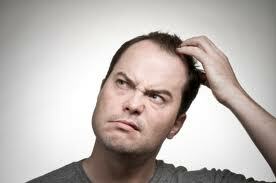 And some questions for QVM – do you provide sufficient guidance to market customers? How easy is it for customers to find what they want at QVM? Is your signage adequate, are information booths available, and do you have an app that gives trader locations? These are all questions that need our attention and, while the customer rules, it could be very inconvenient to ignore them. QVM's decision to limit SL license renewals to one year raised problems for traders wishing to sell their businesses but it would appear a solution is at hand. QVM were looking to maintain flexibility within the trader group as we head into renewal but a one year license was unlikely to attract stall buyers if a trader wanted to sell in the meantime. CEO Jan Cochrane-Harry had previously advised that every case would be examined individually. One PE Trader had a buyer for his stall but the one year license was a stumbling block. He became a test case for examining how to make it possible for normal business sales to continue during a renewal phase. Retail Property Manager, Marina Levitsky, has written to us this week confirming that QVM have now received legal advice that will enable the offer of a 3 year license to the potential buyer. Each case will be considered on its own merits. This could be good news for traders who are considering the sale of their businesses. Article - City Councillors Congratulate Trader. 14/06/2015 10:18:14 Presentation! "Cathy Underhill you said it sooo succinctly I hope in earnest they adhere to what u say on behalf of the traders." Article - QVM Hits The Press This Week. 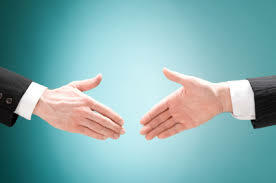 15/06/2015 12:00:43 Exclusivity At Night Market "I think we understand that modern commercial arrangements include exclusivity deals and no doubt positive benefits can flow from them. But is exclusivity appropriate for a market which essentially embraces small business? And given the ""huge success"" of the night market shouldn't the big boys who want to take part be made aware that exclusivity needs to be tempered by responsibilities to those small businesses? 15/06/2015 16:19:50 Night Market "Does QVM Pty.Ltd still receive small business grant for running the night market." LB E SHED where there are no awnings. New York professor Scott Galloway has questioned the sustainability of pure online retailers and predicts a bright future for stores. He points to the cost of delivery as a major factor. Amazon spends in excess of $7 billion each year on shipping costs. It trounces most competitors in sales volume but profit is another matter with the online giant still struggling to show a reasonable return and certainly falling behind other major store based retailers. But don’t bin your online plans just yet. It is likely that store based retailers will become more sophisticated in their online content and pure online retailers will adopt stores as part of their operation. In other words, the mix of stores and online will probably need to find the right balance for each successful retailer in the future. 1. Unemployment falls slightly as 42,000 jobs added. 2. Pumpkin Patch abandons selling plans and gets back to business. 3. Dutch Supermarket giant, Spar, launches in India. 4. Myer adds three new designer labels to its range. 5. McDonalds looks to internal re-structuring as sales slump. 7. Australian National Retailers Association rebrands to Retail Council. 8. QVM seeks National Heritage Listing. Wednesday night in Melbourne will be State of Origin night as thousands of rugby fans from around Australia descend on the MCG. Game two in the series will arrive with a huge fan-fare and the potential for strong market business at least on the days either side of the match. State of Origin hasn't been played at the MCG for 18 years but those with good memories will understand the benefits that can flow from a major sporting event like this. All going well we should see a spike in sales and traders are advised to make sure their shipping arrangements are in order as shipping goods home after the match could be a sales clincher. 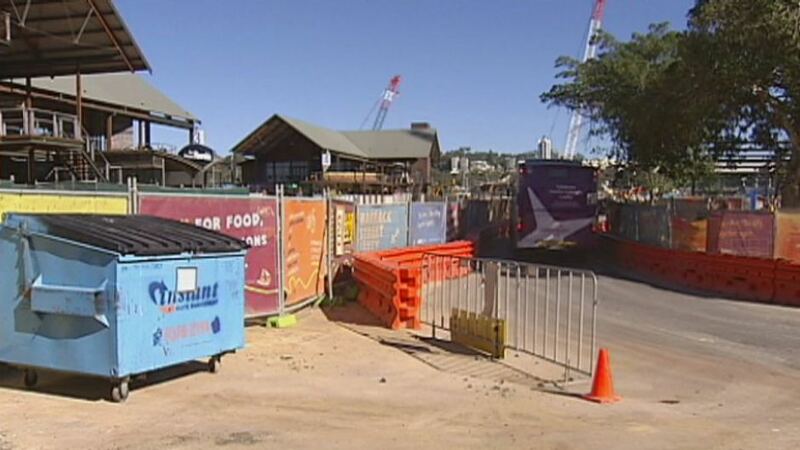 Some 15 traders at Barrack Square in Perth have been hit hard by construction works on the nearby Elizabeth Quay project. Many traders rent their properties from a State Department and this is a Government project. Traders have been granted an immediate 3 month rent relief. The concessions include a financial compensation process. All traders have been invited to submit financials for the current financial year and relief could be provided from July 2014 through to the practical completion of the project. In a related announcement, officials have advised that new tenants in the Elizabeth Quay project will be offered special rent and fit-out incentives to ensure that their transition into a site with ongoing construction will be financially viable. The deal might involve rent reductions for the first two years before the Government tried to recoup the cost through revenue sharing arrangements after business started to pick up. These sorts of negotiated arrangements may provide some pointers for our own QVM once any construction work starts. National Heritage Listing- The Federal Government has put its weight behind the push to have QVM put on the National Heritage List as a prelude to eventual UNESCO worldwide listing according to articles in the major newspapers. This process is likely to take a little time but, as a couple of traders have already pointed out, the process of locking in QVM for future generations is to be commended. Traders Fear Being Squeezed Out After Re-development – this was the headline in an Age article on Thursday that referred to two trader issues. Firstly the example of Candlebark Wineries (a current day trader and previous night trader) who have been excluded from the current night market because of an exclusivity deal with a larger wine company. Exclusivity is a common ingredient in modern commerce but is it appropriate for a retail market that is dominated by small business? We note that QVMAC Representatives initiated discussions with management earlier in the week on this issue. The second issue raised concerned Koori Connections who were moved to make way for a planned electricity sub-station on Victoria St. and believe they have suffered from the move. Toy Gun Fears – this article from theHerald Sun referred to the sale of toy guns that look like the real thing and specific reference was made to guns sold at QVM. This is a debate that generates considerable emotion although we note from the article that even experts can’t agree with one psychologist saying that “toy guns can promote violence” while another claimed there was no harm in letting children play with toy guns. If you have even the slightest interest in setting up a website or improving your current website then please read this. 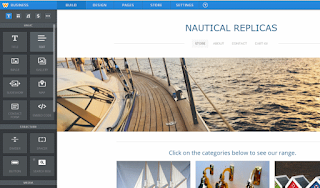 I would like you to go to my website (click here), have a quick look at one of the product pages, click on the “About” and “Contact” pages and then come back here. ...... that site took just one hour for the initial set up. I used a website builder called Weebly and I think the result is streets ahead of what I had before. I can’t show you my old website because I have now ditched it but it was a 10 year old design with a very cluttered and unfriendly look by comparison. The initial design and set up took an hour. You can experiment with Weebly (free of charge) and test it for yourself. 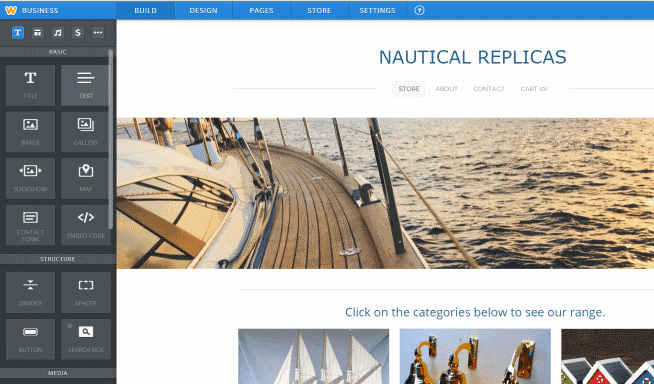 Entering in a range of products and hooking up to payment systems took me another half day but much of that was redirecting my current domain name to the new site. If you are registering a new web address, then Weebly do all that for you. They also have all the eCommerce facilities for you including standard merchant card facilities through Stripe and PayPal. Essentially all you need to get started is a computer, some product photos and an hour or so to play around with their web builder. If you decide to go ahead and publish your site it will cost you around $5 per month although if you go for the full business option including shopping cart and card facilities it is around $30 per month. That is a small amount to recover from online sales. The ease of setting up a website these days is quite stunning. And you can play around for free with sites like Weebly. Traders who would like assistance with the process are invited to telephone me on 0406 222 020. Greg Smith – QVMAC Trader Representative. We reported last week that work was progressing on QVM’s National Heritage listing and traders were invited to add to the discussion. Today’s press announced that Federal Environment Minister Greg Hunt has asked the Australian Heritage Council to consider placing the market on the register of the nation’s peak heritage sites. There are currently 103 sites on the National heritage List with The Royal Exhibition Building and Carlton Gardens being Melbourne’s two contributions. 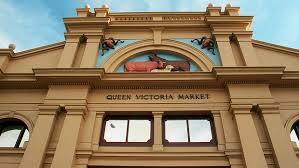 It is hoped that the Queen Victoria Market could eventually be listed on the UNESCO World Heritage listing. Mr Hunt said the process to be placed on the national list would take two years. "Firstly, the federal environment act applies and protects the site in perpetuity, secondly it is a recognition that this is the best of the best in our history," he said. One of our traders who conducts mail orders received a bad Facebook review for what was essentially damage by the postal system. The generic plastic packaging was somehow torn in the process of delivery and as sometimes happens the customer publicly complained instead of discretely seeking resolution directly from the trader. So, our trader replaced the item and then posted on Facebook that they were increasing the thickness of their plastic packaging and also reducing the cost of postage. Turning a social media gaff into good publicity was a great move. The thicker packaging and the reduced postage was going to cost the trader a little more but we reckon that showing their responsiveness and commitment to keeping their customers happy will pay back many times. 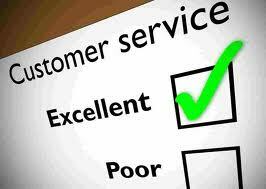 Customer service is a little different in the online environment but it is all about excellence no matter where you sell. Seems like this trader had the right response. At Tuesday night’s meeting of city councillors the QVM Draft Master Plan was being considered and a presentation by one of our traders was commended by a number of councillors including the Lord Mayor. Lord Mayor, Councillors and stakeholders. We need to be very careful that in a rush to renew the market we don’t forget the things that make the market work, that our desire for order doesn’t sterilize the unlikely synergies developed through the years. Why is there a take away next to a tea shop. I don’t know. Why is there a remaindered goods stall in the fruit sheds - Who knows, but I bet that each of these businesses profits by their location.A phrase that pops up repeatedly in the plan is “finalise the retail mix”. We need to make sure logic doesn’t kill the kismet. “Support emerging businesses” is a primary strategic direction. That is a far more complex than it seems. How do you do that? Multi-location, formulaic businesses have no place in the market. Their economies of scale kill competition.Ensuring that the market remains a home to family and micro business requires policy. There is an inherent danger in trying to force change. Prahran Market trade dropped 30% after the renovation and still hasn’t recovered according to traders. Docklands and South Wharf show that if you build it they might not come. We must be careful that our change is an evolution and not a tsunami. Looking at the Capire report questions on parking it appears that traders think parking is far more important than customers, but when you dig a little the customer response is more nuanced.It is quite possible that all the people who said improved pedestrian amenity was important also said improved car parking was important. The respondents were not limited to one answer and the difference was 38 responses. More importantly the people who were not at the market did not have a voice. The customers already lost due to high car parking costs and the incremental loss of street parking. 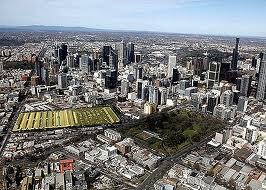 Eventually the city of Melbourne will be virtually car free but we are a long way from that yet. Our customer base is continually dribbling away because of difficulties in parking. We need real constructive help with this now. Finally, I ask Council and the Board to examine how they view the market and measure success. Is the market a purely financial asset?If you judge it by increases in revenue it will fail. Judge it by the success of the micro businesses and start ups. Judge it by the variety of people who feel ownership – rich, poor, immigrant, 6th generation, tourist or local. Judge it by it’s diversity. We hold in in trust. We don’t own it. One of the items in the strategic direction is to “create shared experiences that encourage social connections”. The market has been doing that for a long time. Cathy is a QVM Dairy Hall Representative from McIver's Coffee & Tea Merchants.